Jeff Wessman captures the sound and style of Frank Sinatra better than anyone! From his earliest days as The Voice, the swingin' Nelson Riddle years, through the Rat Pack days, to the Chairman of the Board years, Jeff does it all. His show, A Swingin' Affair! a Tribute to Sinatra and Friends, includes songs by Sinatra, and popular songs by Dean Martin, Bobby Darin, Tony Bennett, and others. It always gets the audience moving, and wanting more. Jeff has performed the Hyatt Regency in Sacramento, The Fairmont in San Francisco, Cocoanut Grove Ballroom in Santa Cruz, and for audiences across the US bringing ring a ding ding excitement to each show. We had Jeff come to Rossmoor and entertain us at our Holiday party, with about 200 people. Omg! Jeff was a big success. This was the best party in history, and we attribute it to the mood the wonderful music that Jeff inspired. People got up to dance, sang along and didn't want to leave. We will definitely ask him to come again next year. I give him two thumbs up. Thank you Lonna! It was a pleasure singing for you all. I hope to come back again. Jeff was a perfect accompaniment to our party. 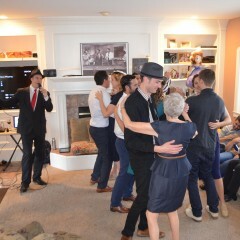 We celebrated my mom's 80th birthday and his combination of the classic Sinatra, Martin, Bennett hits were perfect. He's a very talented singer and performer and knows when to step it up and then step it back. Young and old all had a great time. Thanks Paul! It was a pleasure singing for all of you. Thank you Nadyne! It was a pleasure being part of On Lok's Gala Event. 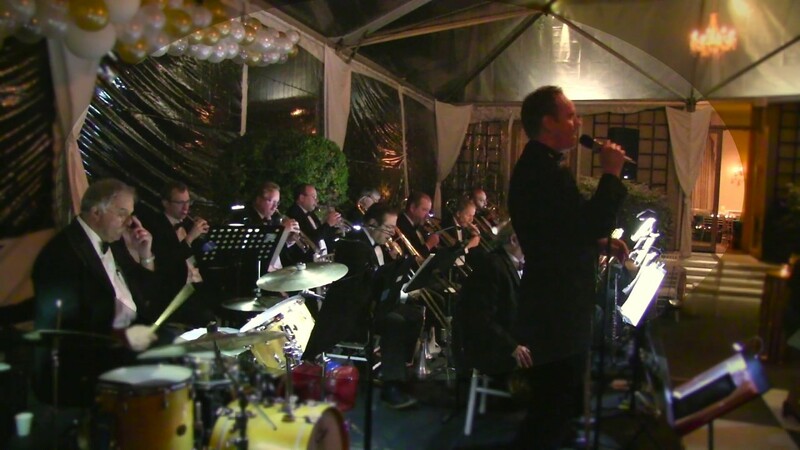 Jeff is a master at his trade who brings the traditional big band sound alive. Thank you Bruce! 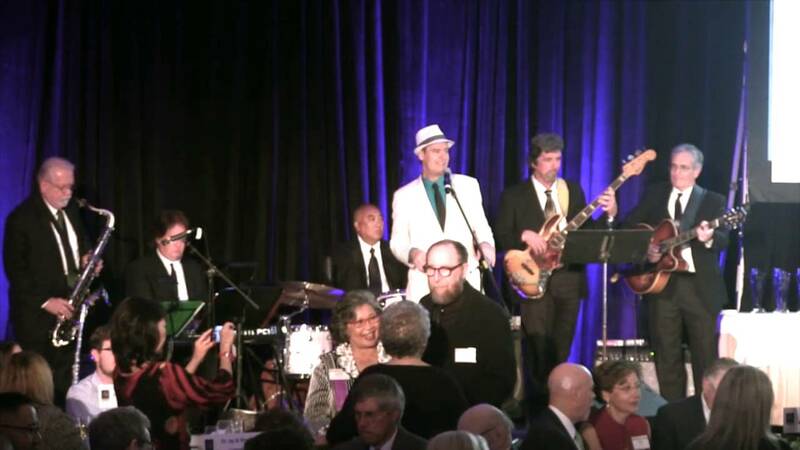 It was a pleasure singing for you and the assembled guests on such a wonderful occasion with a full big band. You really know how to throw a party! 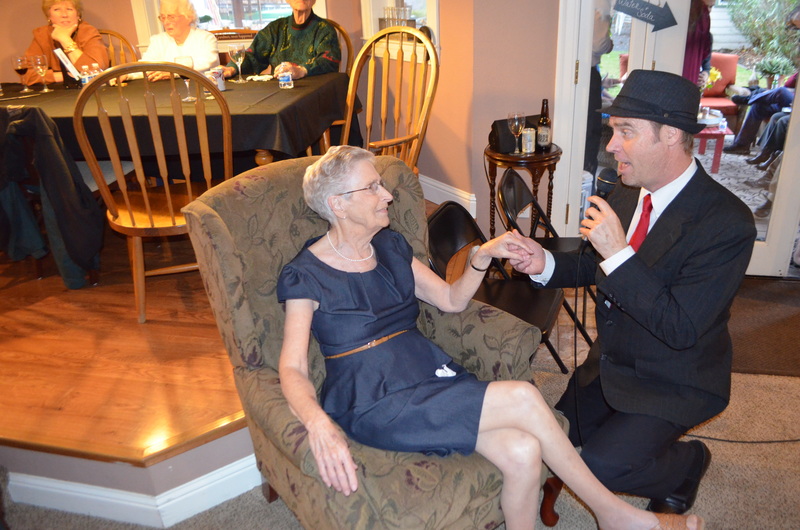 Jeff performed for our senior living community and did an amazing job! He really transported our residents back in time. 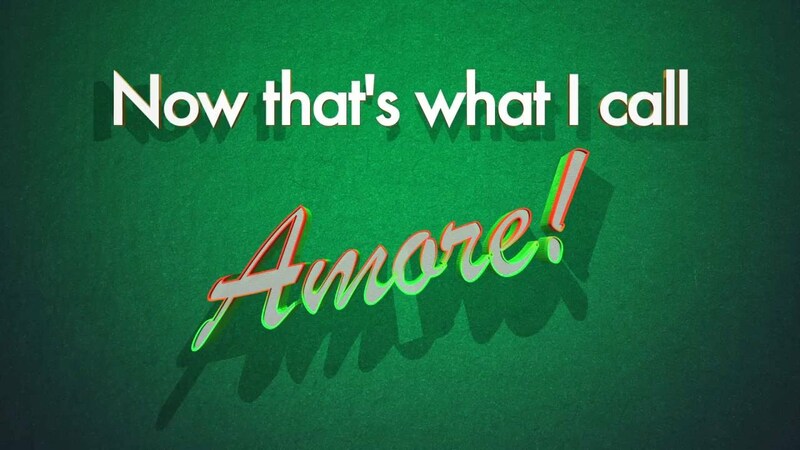 It was the perfect combination of classic hits. Our community was engaged and very impressed. We would love to have you back Jeff! Thank you! Thank you Felicia! I look forward to coming back again. 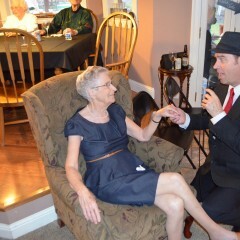 We had Jeff perform for my Dad’s 93rd Birthday Party...everyone love it, especially my Dad! Thanks, Jeff! Jeff is always well-prepared for our group of 35-40 seniors (aged 85+). He is engaging with his audience and usually performs a sign-along style show for them. Jeff is organized and very responsive when booking dates, sometimes as far out as 6-8 months in advance, which is required by our group. Thanks for making this group feel joyous whenever you perform, Jeff! Great job. Light and fun. Thanks Jill! It was a great way to celebrate Independence Day and Concord's birthday with songs from Sinatra, Tony Bennett, Dean Martin, Bobby Darin, Hank Williams, Gene Autry, The Beatles, The Beach Boys and Elvis! The residents here really enjoyed the performance. We hope to have him back again soon. Thank you Jeff! We just did hire Jeff Wessman for New Year's Eve live performance at our restaurant. Everyone enjoyed his performance (lots of complements from our patrons). Highly recommended and we will definitely use him again. Jeff did a fantastic job. He was the hit of the party, a lot of fun, down to earth. Many guests asking where I found such a great entertainer. Would definitely recommend him. Thank you Anita! I had a blast singing for you all. What a great party! Jeff was great very acomidating and easy to deal with from the beginning. He was punctual and prepared the day of the party. His performance made the party!! Get this guy. Jeff truly is Frank Sinatra come back to life ! He performed for a crowd that ranged in age from 10 to 90. The older guests couldn't believe their ears and the young kids discovered a whole new genre of music. Jeff had everyone dancing ! Thank you for the kind words and the great photos Greg. 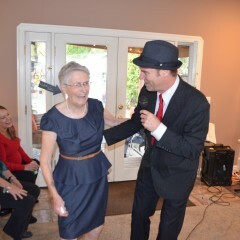 It was a pleasure singing for you and your family - and your amazing mother! I feel grateful to have been part of such a memorable event. All the best to you. Jeff's performance was vibrant and touching. 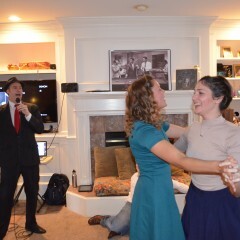 He performed the Dean Martin songs we had agreed upon and the entire party was singing and swaying to the music. He ended with I Left My Heart in San Francisco, per my request, and it left tears in my eyes and in the eyes of many others. He is warm, friendly and professional. I highly recommend him for any occasion where a singer is desired. He left everyone smiling and happy. Thank you Beverly! It was a pleasure singing for you and your guests. We had Jeff come to two of our Red Carpet Employee Appreciation events and entertain "the troops". His music was perfect, he was entertaining, and dressed the part. I have already had one employee ask for his contact information, and I am sure there will be others. Every step of the process and interaction with Jeff was professional. Thank you for helping to make our events smashing successes! Thank you Loriann. You guys really know how to throw a party! Thank you Louise! It was a pleasure singing for you all on such a special occasion for such a special person. I would welcome the opportunity to do it again. Jeff was born to do this! We really enjoyed having Jeff join our grandpa's 87th birthday. We are a multicultural family and he doesn't even speak English but Jeff was able to communicate with him not just through music but through how much passion he has for his work. The performance was great-- we will be watching videos for years to come! And he has a great vibe that we all enjoyed. Thank you! Thank you Elina! It was a pleasure you meeting you and your family and bringing the gift of Sinatra to your Grandfather. All the best to you. Jeff did a fabulous job at our Holiday Party. He was entertaining and a joy to work with. Thanks Jeff! Thanks Stephanie. It was a pleasure singing for everyone and celebrating Sinatra's birthday in style. Thank you Kevin. You really know how to throw a party! Jeff entertained our guests for 1 1/2 hours after my daughter's wedding ceremony, and his performance set the joyful mood for the evening. Both young and old were delighted by his Frank Sinatra and Dean Martin renditions, and my husband and I were so pleased to have him perform for our friends. Prior to the wedding, Jeff was very professional and communicated well to ensure a magical evening. Thanks, Jeff, you were a Big Hit. Thanks Joann! It was a pleasure to be part of such a joyous occasion. I hope we have the opportunity to work together again. All the best to you. You can't miss with this guy! 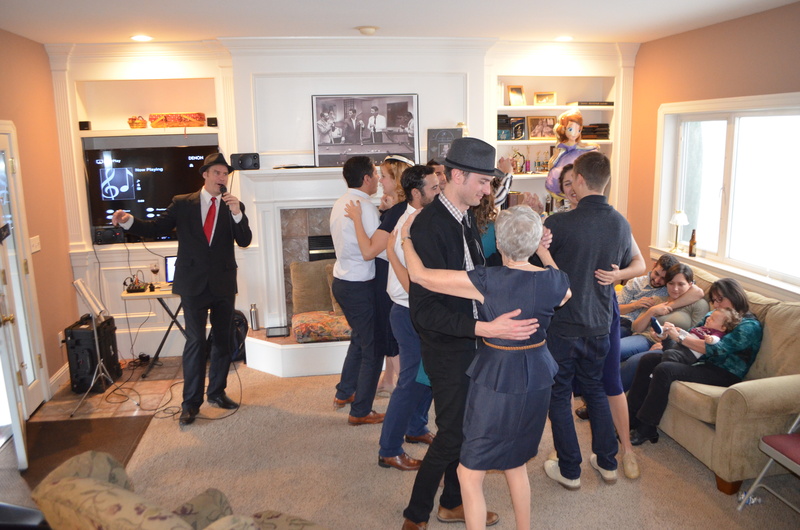 Hired Jeff for an 80th birthday party - not only was he a hit with the birthday boy, but my 20-something sons and their friends were crazy for his performance. He truly pleases all age groups. He was so much fun, we extended his stay at our event. His voice is like velvet and his showmanship is perfect for the genre. Can't wait for a chance to have him entertain again. Thank you Lisa. You really know how to throw a party! What a treat. Just name the place and the date and I'll be there. All the best to you. Jeff sang at the cocktail hour portion of my wedding--the whole party absolutely loved him!! 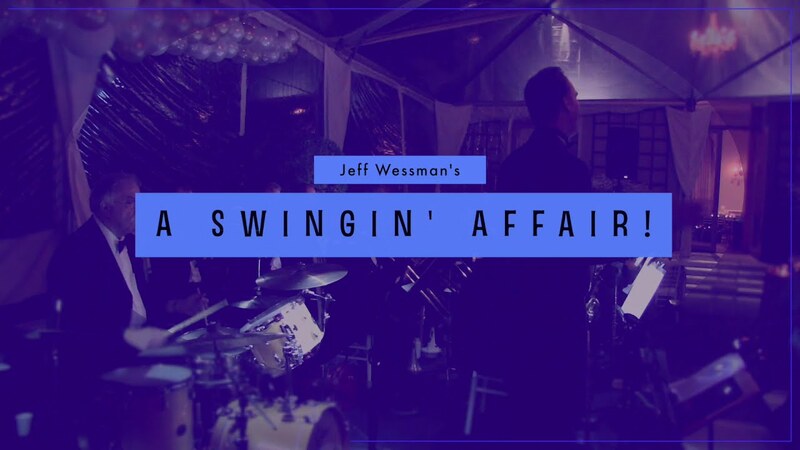 "Swingin'" is certainly the word to describe the atmosphere Jeff created. He kicked the party off with such a festive mood. Jeff was very professional and a pleasure to work with during the planning phase of the event as well. We would definitely have him again at our next event and some of our wedding guests have already asked for his information so they can contact him about their own future events. It was an absolute delight to sing for you and your guests. Wishing you both well! Jeff hit it out of the park!!! We hired Jeff for a vintage Vegas birthday party. He was professional, easy to work with and most importantly, an amazing singer. His uncanny Sinatra sound kept the guests captivated and wanting for more. If you need a great performer with a fantastic voice....Jeff is your man. Jeff is an amazing singer & entertainer. Classy & engaging! We hired Jeff for our Dad's 75th birthday party held in the backyard of our home. Jeff was very responsive from the very beginning up until the day of, which is one of the reasons I chose him. He was so easy to deal with. He was very flexible in terms of performing for either 1 hour or 1.5 hours -- he allowed me to play it by ear. He was very friendly all throughout. Now .... his singing? Superb! He sent me a list of songs to choose from and the list is extensive. He sounded just like the artist! He really seemed to love what he does, as he was very lively and smiles the entire time. I asked him to sing 3 songs that weren't on his list and he was able to perform them ... and he sounded as if he had the songs on his list and has been signing them for awhile! He engaged the celebrant and the guests to come up and dance. This took awhile, but as soon as someone started it, everyone danced the rest of the time. Having Jeff at our event made it fun, classy, and lively. Guests told me how much fun they had and how great Jeff was and what a good job we did in finding him!! If you're looking for someone to entertain the crowd at your next party/event and you want it to be tasteful and fun, hire Jeff! He is worth every penny! THANK YOU SO MUCH FOR MAKING OUR CELEBRATION COMPLETE. OUR GUESTS THOROUGHLY ENJOYED THE EVENING! THANKS AGAIN...IT WAS A PLEASURE WORKING WITH YOU! Thank you, Rene! It was a pleasure singing for everyone in such a loving atmosphere. And nice to see people dancing too! Jeff arrived promptly, was friendly, and sang a bunch of fun songs for us with his guitar. Great entertainment for a party with all ages. He impressed us with his performance. He was a crowd pleaser! Jeff was an integral part of the magic that was our wedding. His cool classics set the mood for an intoxicating evening. He was a total pro and a pleasure to work with. We couldn't have asked for more! Jeff was all of the above...classy, cool, charismatic, and of course, a great singer and entertainer! He was very accommodating to our less than conventional party (surprise birthday dinner in a restaurant), very professional and personable. Spot on great performance of Frank Sinatra! 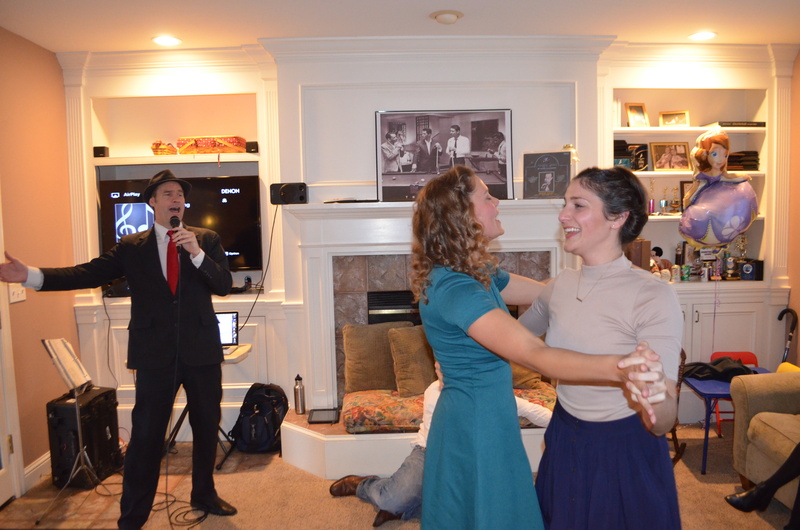 Jeff presented a wonderful tribute to Frank Sinatra before a small group at my home. From my first contact with Jeff, he was a true professional and gentleman, evoking a time many years ago. His performance was spot on perfect and my guests are still talking about how fabulous he was. I will definitely book Jeff again in the future! Jeff was great on such a sad occaision, as my nephrew passed away unexpectly and his favorite singer was Frank Sinatra, Jeff was great and sang all the songs my nephrew loved, even when he didn't know a couple, he made sure he learned it before he came, and it was the highlight that respresented my nephrew. he was very accomodating and i would use him again, but hopefully not on the same circumstances. if you are thinking of him, don't wait any longer. thanks again Jeff. 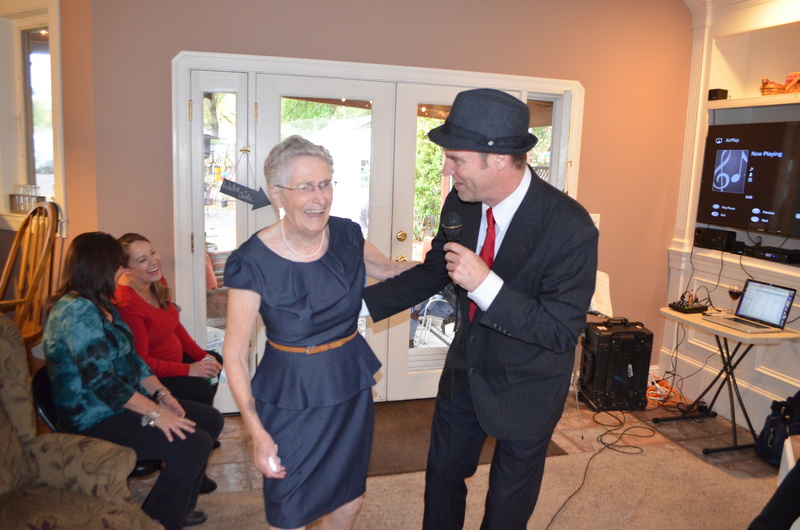 Jeff Wessman did a wonderful performance for my mother's 90th birthday party, including her favorites from the 40s and 50s. She not only sang along, but got up and danced for most of the numbers. Thanks especially, Jeff, for taking her requests. We had a favorite song. I wanted to walk to "The Way You Look Tonight". Enter this amazing crooner, Jeff Wessman. As we danced in to the song, Jeff kept us in time. He added a special song during the ceremony and sang for 2 hours. Easily the best money ever spent at a wedding. People loved this. He was just great. It's the special touch and the quality that made it so great. He is wonderful to work with as well. Thank you Debra! You guys were a delight to sing for. Wishing you many happy years together! As a professional I am easy to work with. I'm prompt, responsible and communicate well with my clients to ensure that their expectations are not only met but exceeded. As an entertainer I bring humor, musicality and a spirit of generosity, so that each performance is a success, elevating the event into something truly special and memorable. As an artist, I know my material (i.e. the songs and the singers) thoroughly, bringing to life the sound and spirit of Sinatra with pitch perfect renditions of the greatest music ever written. Jeff Wessman is a singer, songwriter, and musician based in the San Francisco Bay Area specializing in the singing style of Frank Sinatra. 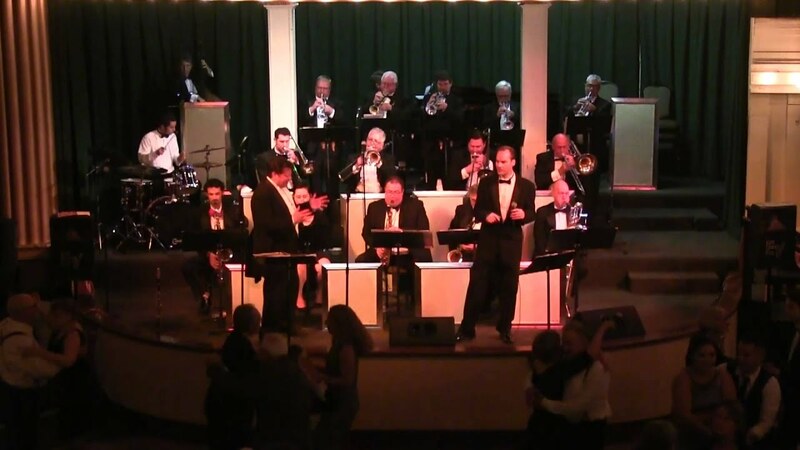 His tribute to Sinatra and Friends, “A Swingin’ Affair”, is a lively revue of swingin' songs and spot-on vocal renditions of all the greats including Frank Sinatra, Dean Martin, Tony Bennett, Bobby Darin, Michael Buble’, and Nat King Cole. His current act actually evolved out of another tribute, "Big Band Beatles", in which he performed popular Beatle's songs in the style of Sinatra. Jeff performs regularly throughout the San Francisco Bay Area and across the US and has performed at the Fairmont, the Cocoanut Grove, and other venues private and public. Whether performing as a soloist, or in a duet, trio, or larger ensembles, Jeff captures the sound and style of this great music. And with more than 170 performances a year, he's quite in demand. In addition to his Sinatra tribute, Jeff is an artist and musician in his own right and has recorded music for tv, radio, podcasts, and video games. As a songwriter he has produced two CDs of original music, Producing, recording and playing all the instruments. He currently has songs under licensing agreements with a Nashville based publisher. He is a member of BMI and West Coast Songwriters. Jeff is based in Oakland CA. If performing solo or with a band, I provide my own sound system. If solo, depending on the size of the event, I require a small table, such as a card table, to set up on. If a large room, and/or with a large audience and potential background noise, I provide a PA system, unless one is available at the venue, in which case I will use the house mic to get a feed from my monitors to the house PA. When performing solo I sing to high quality tracks to reproduce the big band orchestra. I can also provide a large classy "branded" backdrop to provide more visual interest, as if I weren't enough. For sets longer than an hour I like to take a short (5 min.) break every 45 minutes or so. A more complete song list with over 200 songs can be provided upon request. For those interested in expanded repertoire I also do country and rock classics from the '40s, '50s, '60s and beyond. Frank Sinatra, Dean Martin, Tony Bennett, Jerry Lewis, and Bobby Darin.